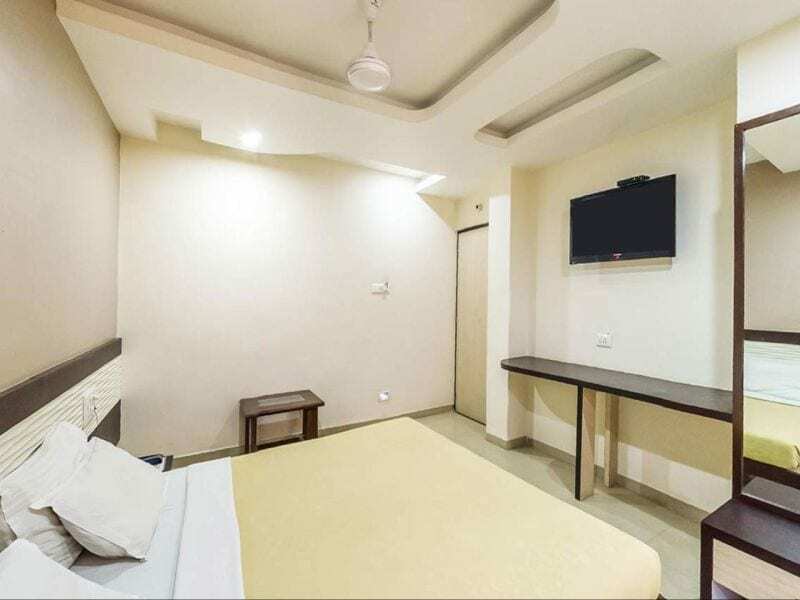 Visit Hotel Bhagyoday Mehsana and experience the best and the affordable guest rooms Mehsana has to offer. Our guest house rooms are like no other, and you’ll want to visit every time your travels bring you to Mahesana. Discover for yourself one of the top hotels in Mahesana City. 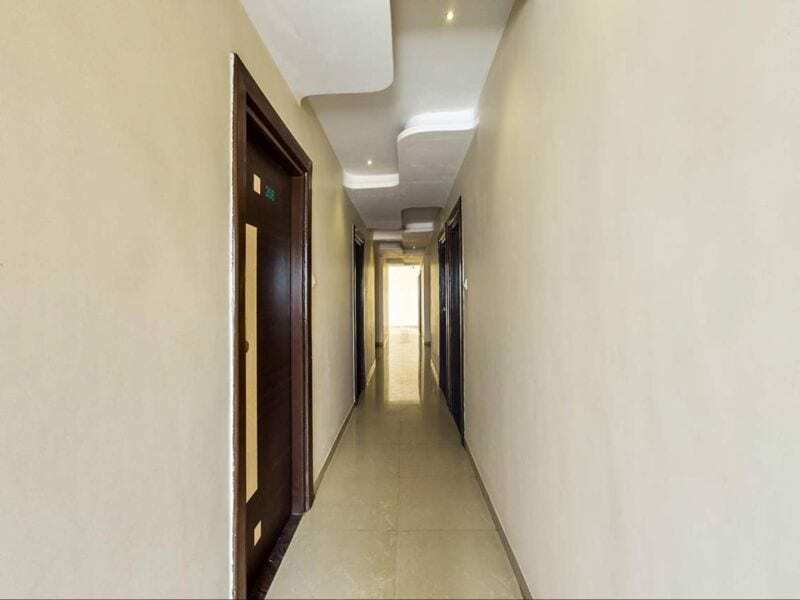 Located at the heart of Mehsana City within walking distance to Bus Station, City Center and Railway Station. Easy access to All kinds of Daily necessities. Public, Private transportation available near the hotel. 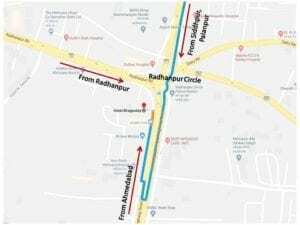 Less than 15 kilometres to Water Park, 20 kilometres to Sun Temple Modhera, 75 kilometres to Ahmedabad Domestic/International Airport. Located at the heart of Mehsana City within walking distance to Bus/Railway Station, City Center, Highway, Private Transportation points etc. Prominent location in Mehsana, well lighted and moving all night. Feel safe to reach us at any time of the day or night, morning or evening. Easy access around Mehsana city, All of Daily necessities, Shopping center, Public/Private transportation, Banks, Barber, Pan Center etc. 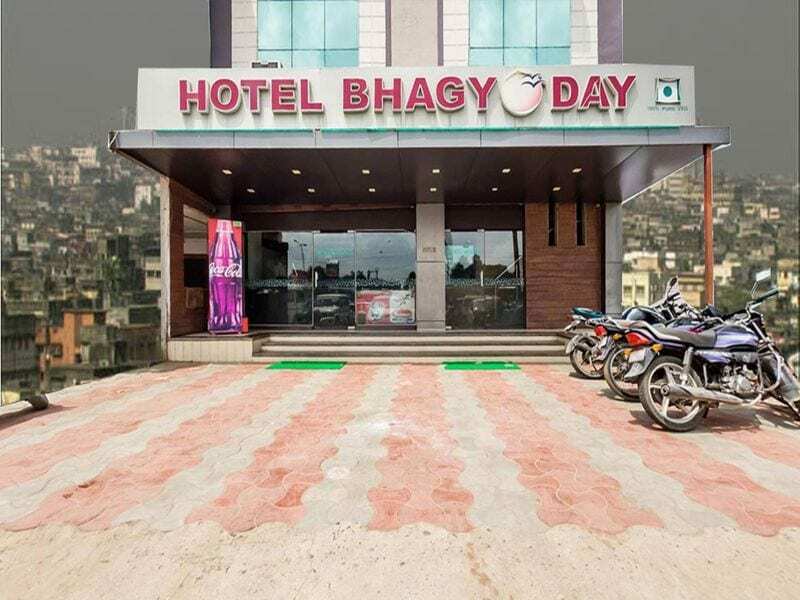 So if you won’t settle for anything less than staying at one of the finest luxury hotel in mehsana, then Hotel Bhagyoday is for you. Here are a few more reasons why. Every other person whose opinion I sought for good hotels in mehsana, suggested me this hotel. Hence, I directly reached at this hotel. The attendant and the staff was very helpful with everything. 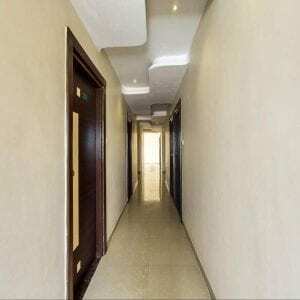 The overall hotel experience is value for money. 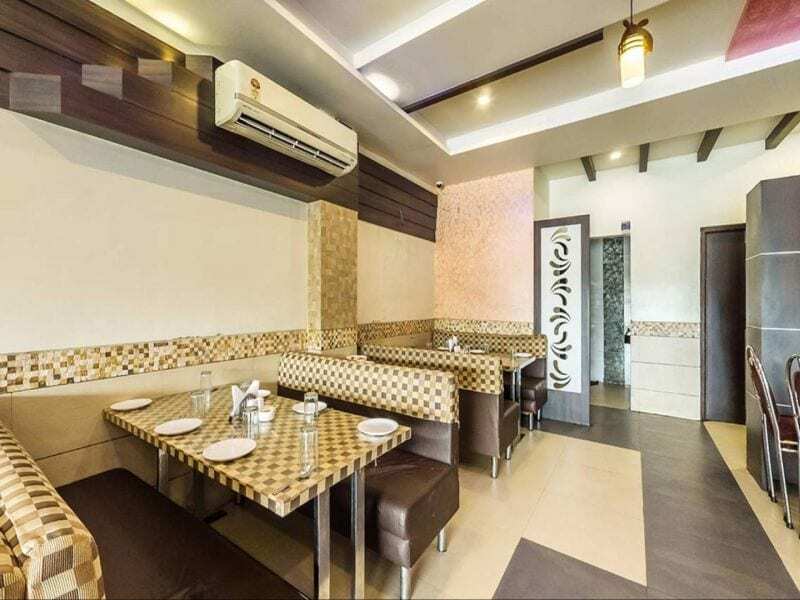 Best food and comfortable room…. The location of the hotel is convenient for travelling and it is within the city limit and closer to main market. The outlook of the hotel is nice and interiors were quite good. The staff members in the hotel were helpful and quick enough in services. The room allotted to me was neat and clean along with basic amenities. The food provided in the restaurant here was best in quality and taste. I had a comfortable stay here and the tariff spent was absolutely worth it. Thumbs up dude Awesome destination. Food yummy loved it Location how one can forget. Everything is perfect from services to room. Ever thing is perfect, tidy, clean and property hygiene that's ever one need. WOW !!! Awesome stay nice location. Especially on highway road you don't get such good hotels to stay. Food is also nice and they served me even when their restaurant was closed officially. Value for money stay. We chose to visit this hotel for an overnight stay on way to Mount Abu. This was one of the few hotels available on the internet. For the price, the accommodation is very decent. Don't expect to compare it with high end hotels. The beds are decent with hot water in the taps for a refreshing shower before you leave. There is a restaurant on the ground floor where you get good breakfast besides. Nice hotel with good location. Food is also good. I would love to stay there again. Nearby places are Swaminarayan temple and McDonalds. Hotel staff is very cooperative. 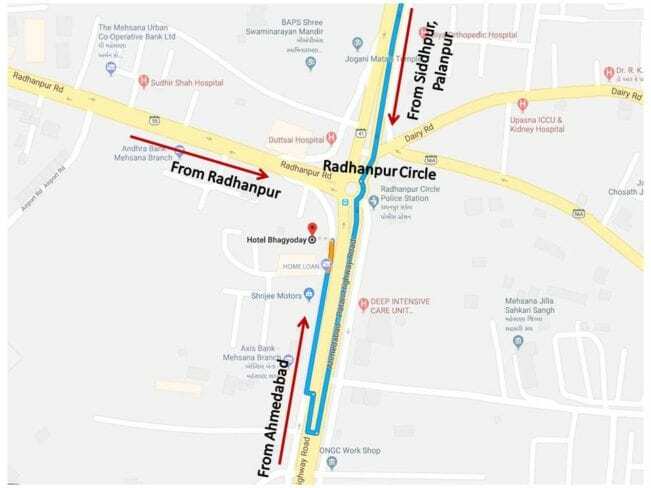 Bus stand and railway station is also near to hotel with good connectivity. Stayed here for two day. The stay was very good and the service provided by hotel staff was good. All the staff members are polite and they listen to your concerns. Room also neat and clean. Located close to market. 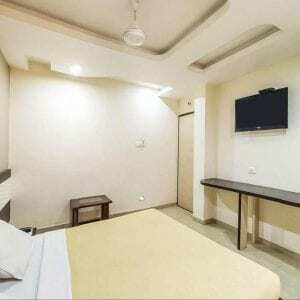 So overall I recommend to stay at hotel bhagyoday mehsana. Our staff strives to make your stay comfortable and your experience in our hotel is important to us. You’ll wake up well rested and ready for the day.